A semi-hollow body guitar provides musicians with the best of both worlds when it comes to electric and acoustic guitars. Semi-hollow body guitars provide users with an incredible amount of versatility that fits comfortably in a variety of music genres. When built with quality, a semi-hollow body guitar takes the capabilities, sounds, and styles of both solid bodies and hollow body guitars and combines them. Semi-hollow body guitars aren’t for everyone. These guitars have the capability of creating tones that solid bodies guitars struggle to achieve. Your average semi-hollow body guitar has a good cosmetic appearance that is similar to an archtop hollow body guitar. However, it has a solid block of wood running down the center of the guitar. This block of wood allows the semi-hollow instrument to be amplified like a solid body guitar. The block of wood is glued down to the top and the back of the guitar, which creates a hollow section on the sides of the guitar. Semi-hollow body guitars are a favorite among more experienced musicians. This is due to the technical benefits that this type of guitar provides. Semi-hollow body guitars do not typically provide feedback issues that a hollow body guitar does, which is a great benefit for guitar players, especially if you’re someone who does a lot of live performances. On top of that, this musical instrument will provide a lot more sustainable than other guitars due to the overall construction of the body. The solid part of the body of the semi-hollow connects to the neck of the guitar, which helps to ensure a larger sustain. 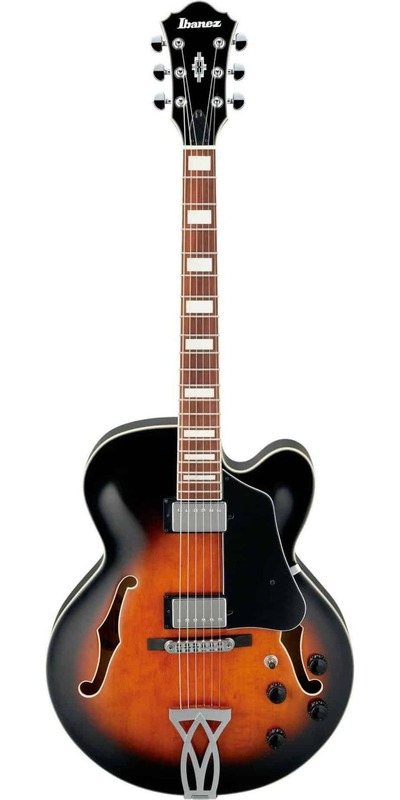 Why would you want a semi-hollow body guitar? 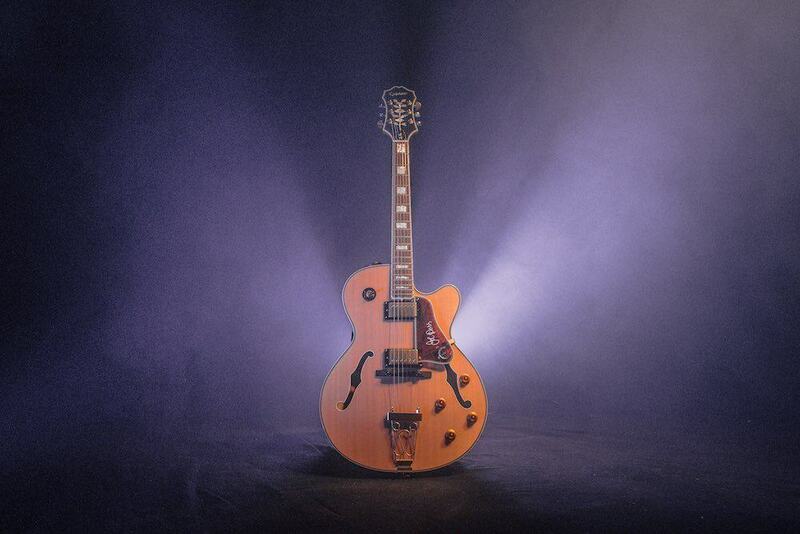 Semi-hollow body guitars produce the perfect sound that a lot of Blues and Jazz musicians look for. A semi-hollow guitar has the ability to produce a warm dynamic range, lots of sustain, and outstanding harmonic lavishness. Semi-hollow body guitars produce a richer sound than solid body guitars do. In the same time, avoiding the common feedback problem that a lot of hollow body guitars have. Your desire for a semi-hollow body depends upon the type of musician you are and the type of music you’re looking to play. If you’re interested in playing fast and heavy Rock or Metal, semi-hollow body guitars aren’t the right instrument for you. A solid body guitar would be the best bet for you if you are looking to pay louder sounds and heavier music. Semi-hollow body guitars fit perfectly into a softer style such as Blues, Country, Jazz, Pop, and Soft Rock. 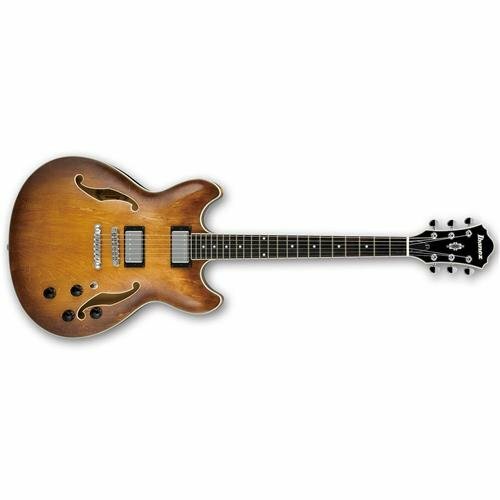 Semi-hollow body guitars provide musicians with a naturally warm tone with a well-rounded sound. Let’s begin to dig into the Best Semi hollow body guitars! While the Ibanez Artcore AS73 is more of a budget buy than other guitars that we have on this list, it’s still of just as high quality as the other semi-hollow bodies we have. Depending upon your personal preferences, needs, and tastes, you may find that this budget buy is the best suiting semi-hollow body on the market for you. The AS73 is built with maple sides, maple top, and maple back, without any flamed maple detail and a Bound Rosewood Fingerboard. This musical instrument also comes with a 24.7-inch scale length, which will make it easier to play if you are someone who has a smaller sized stature or smaller sized hands, as the average scale length for other semi-hollow guitars is 25.5 inches. The shorter scale lengths mean that there is a decrease in tension, which will make it easier for beginners guitar players to stretch their fingers across different frets, making the Ibanez Artcore AS73 a good beginner’s guitar. The AS73 comes with a set neck, which helps to boost the sustain of the instrument. 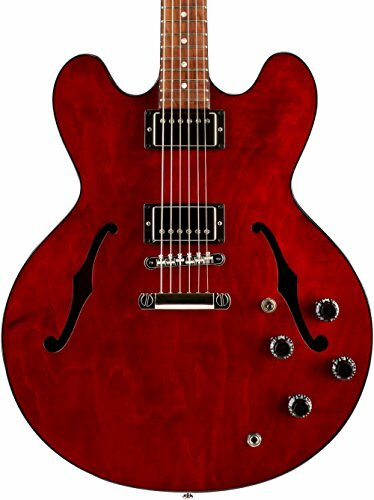 If you’re an experienced musician who knows what a great semi-hollow sound like, I would recommend looking at guitars that are a bit more expensive. However, if you’re a beginner and you’re just looking to get started playing a semi-hollow or you’re an experienced semi-hollow musician who is looking to travel with an instrument, the AS73 would be a great choice for you. When it comes down the overall quality of this instrument, it is a good guitar. The pickups on this instrument are of good quality, but they aren’t going to have the tonal response or the clarity on the chords that you’d find in other pickups of a higher quality. However, switching out pickups is an easy job to do and I would only recommend switching out the pickups if you’re an experienced musician who is looking for a semi-hollow to travel with that isn’t going to cost an arm and a leg. This semi-hollow is the least expensive guitar on this list, but it does have the capabilities to serve a large selection of musicians very well. The AS73 is a great buy and if you learn to play a semi-hollow properly, you’re going to have a remarkable sounding guitar on your hands! Click here to check the latest price! The Epiphone Wildkat holds a visual appearance that fits into what we all think a vintage semi-hollow archtop should look like; combine the playability and reliability that Epiphone is known for and you’ve got yourself your dream semi-hollow. The Epiphone Wildkat appeals to many guitar players because of the smaller body size than you would find on the standard ES-335, which makes it perfect for musicians who have a smaller sized stature that are looking for a guitar that will comfortably fit their body. However, for being a guitar that fits well for the bodies of smaller statures, the neck on this instrument is a bit thicker than you would expect; the Wildkat has a slim taper ‘D’ shape, which is thinner and wider than the classic ‘C’ shape. For the overall build of the Epiphone Wildkat, you’re going to be getting your hands on a sturdily built semi-hollow guitar. The body of the Wildkat is comprised of a mahogany body, a set neck, Grover machine tuners, P-90 Classics, paired with P90 pickups. The P90 pickups on the Epiphone Wildkat provide the instrument with moderate amounts of gain, which means that the sound of this instrument fits in well with Blues, Jazz, and Americana genres, but doesn’t fit in too well with heavier genres. As for the overall quality of the instrument, the Epiphone Wildkat is a semi-hollow that was built to withstand the test of time. Many users use the Wildkat as their go-to guitar for live performances or for traveling with, since it’s so incredibly durable. The biggest complaint that a lot of guitar players have about the Wildkat is that every once in a while, Epiphone will have some problems with quality control, which you will occasionally find in uneven fretwork. Check out the latest price! If you’ve ever played with a Fender guitar, the Fender ’72 Thinline Telecaster has a very similar feel to the majority of the other guitars that Fender manufacturers. The most noticeable feature on this guitar is the chambered ash body, which has helped to make the feel of this instrument to be significantly lighter. The neck of the Fender ’72 is from maple that is shaped in a ‘U’ profile, and a maple fingerboard. It is a way thicker neck than a standard ‘C’ neck profile. However, after I spent some time playing around on the Fender ’72 Telecaster, I didn’t really feel a big difference between the two styles when playing around on the neck. For the Telecaster fans out there, you’ll be glad to know that Fender produced the ’72 Telecaster Thinline with a vintage style string through the body; Fender only produces two different types of bridge configurations – string through and hardtail. A string through set up has the strings fed through holes in the back side of the body of the guitar, whereas the hardtail bridge setup has the strings running parallel to the neck of the guitar. A string through the bridge is more difficult to re-string than a hardtail bridge, but a string through bridge produces more resonance and sustain than a hardtail bridge. The overall sound of this guitar is comparable to a combination of a Gibson and a Fender, which is good and can be enjoyable even for jazz guitarists. The Fender ’72 Telecaster Thinline has a moderate amount of gain with a piercing and clear sound; the overall sound doesn’t have a lot of warmth. As for the pickups on this guitar, they are what give this instrument a lot of character. Personally, the biggest complaint that I had with the pickups on this guitar is that if I didn’t set up my amp properly, I noticed that the pickups began to sound shrill. When I corrected my amp, however, I was able to remove the shrill sound and was able to receive a diverse sound from the instrument. As for the overall quality of the Fender ’72 Telecaster Thinline, you’re going to get your hands on a guitar that is one of the most versatile instruments on the market today; while this doesn’t mean that the ’72 Thinline is going to be able to play in every music genre perfectly, it does mean that it’s going to play wonderfully as long as it’s set up properly. Check out the latest price! The Coronado II is an instrument that is as well built as many other instruments with this same price tag, which is great for a musician who is looking to purchase a semi-hollow guitar with a brand name attached to it. With the Fender Coronado II, you’re not going to have to worry about playability or intonation with this guitar. As for the physical build of this instrument, you’re going to be purchasing a semi-hollow guitar with a laminated maple body, Fideli’Tron pickups, maple neck, rosewood fretboard, and a bolt-on neck. A bolt-on neck helps to cut costs for Fender, which is part of the reason that you’ll be able to get your hands on a Fender guitar for an affordable price tag. While the bolt on the neck does limit the resonance and the sustain of the instrument, you can compensate for this loss by using a higher level of gain or by using an active EQ. The sound of this instrument provides musicians with amazing Bluestones, garage rock, and twangy country, but can also fit into a good amount of other music genres if set up properly. I would recommend staying away from this guitar if you’re looking for hard rock or jazz. While the Fender Coronado II may not be the semi-hollow that is the most affordable instrument for you, it is going to be a semi-hollow that provides you with unique vintage sound and an individualized feel. Click out the latest price! Gibson’s ES-335 has been in the hands of some of the world’s most famous guitarists- Eric Clapton, Eric Johnson, Dave Grohl, and Chuck Berry, just to mention a few. When you mention the Gibson ES-335 to most musicians, they automatically assume that this semi-hollow was built for blues. However, if you have the right setup, you can turn the ES-335 into a guitar that can easily switch between modern jazz to hard rock. The biggest downfall that a lot of guitar players have with this semi-hollow is the price tag, but in this instance, you’re spending a hefty price tag for an instrument of very high quality. The ES-335 features a maple top, maple back, and maple sides, as well as a maple center block. In the guitar community, maple is generally considered to improve sound clarity, as well as an increase the treble frequencies. As for the rest of the construction for the instrument, the ES-335 has a one-piece set maple neck that provides stability to the instrument, while also minimizing the chance that your neck will snap. Gibson used a 17-degree headstock angle to help provide musicians with increased sustain and resonance. With that said, you are going to have to be more careful handling your Gibson, because this 17-degree headstock angle makes the headstock more fragile; you can avoid any problems by keeping it in a safe case when you’re not using your instrument. As for the sound that this instrument produces, you’re going to be receiving a vintage sounding guitar. The Classic 57 and Super 57 humbuckers that come with this guitar provide this instrument with the ability to achieve a modest amount of gain, making it incredibly easy to achieve a blues or old school rock sound on the ES-335. While the price tag on this instrument is of a higher value, the Gibson ES-335 provides a great value for musicians who are looking for a professional quality instrument. Check out the latest price! The Rickenbacker 360 is an expensive guitar, especially at $2,000 a pop. 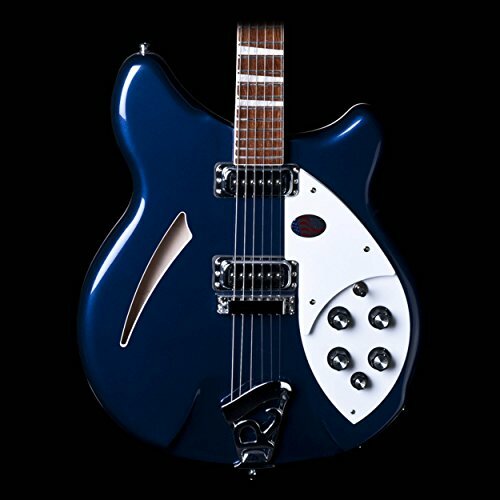 However, that price tag is high because of the uniqueness of the Rickenbacker 360; the first thing you’ll most likely notice about the Rickenbacker 360 is the distinguishing appearance and shape of the instrument. This guitar is comprised with Rickenbacker’s crescent moon cutaway shape, rounded edges, and a bound body. The neck on this guitar is also bound, which will help to ensure that the fret ends won’t poke out from the wood of the neck, especially in the case that the instrument is exposed to drastic humidity changes. Both the body and the neck of the 360 are comprised from maple, while the fretboard is made from rosewood with Rickenbacker’s triangle inlays; the neck on this guitar is a set neck to help ensure resonance and sustain. The biggest thing that I noticed when picking up the Rickenbacker 360 is that the neck felt a bit thinner than what I typically play. The overall sound that this instrument produces is incredibly unique, but there are a few things that you should be made aware of before you go through and purchase this guitar. Rickenbacker produces guitars that often have very bell-like sound quality to them. While this does mean that the Rickenbacker sound does fit into several music genres well, such as Americana music, old school rock, Indie, and soft rock, this isn’t going to be an instrument that you should be reaching for if you’re into a music genre that requires a lot of gains. 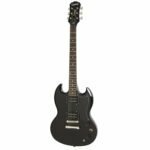 While this doesn’t mean that you shouldn’t purchase this guitar, you should know that if you are someone who is trying to play in a heavier music genre, you’re going to have a hard time falling in love with this guitar. As the price tag can tell you, the Rickenbacker 360 is a high-quality instrument, but really fits well with a limited group of musicians. However, this guitar does a unique sound and feel that you just can’t find with other guitars in today’s market, especially with a semi-hollow guitar. Click out the latest price! 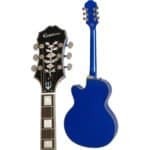 As with any musical instrument, you should always test out a few different semi-hollow body guitar models before finally deciding to purchase on. While you may be spending most of your time looking at and researching models online that it could feel like years, make sure that you set aside some time to test out a few different models to see which one works the best for you and your personal taste. Also, make sure that you know your budget and that you don’t feel pressured to overspend on your budget just to invest in a quality guitar. Just because you’re spending a lot on a semi-hollow guitar doesn’t mean that it’s of high quality. Have fun finding your new semi-hollow body guitar!